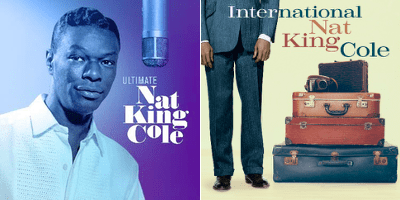 17 January 2019 (Toronto, ON) – With the direct participation of the Nat King Cole Estate, and as part of the celebration of the global entertainment legend’s centennial year, Capitol/Ume/Universal Music Canada, the country’s leading music company, will release two new collections showcasing Cole’s music on March 15: Ultimate Nat King Cole (CD and digital; 2LP vinyl to follow June 14) and International Nat King Cole (CD). The former includes an exclusive new duet of “The Girl From Ipanema,” pairing Cole’s original vocals with newly recorded vocals by GRAMMY®-winning Blue Note Records artist Gregory Porter, whose much lauded 2018 album tribute to Cole, Nat King Cole and Me, is GRAMMY-nominated this year. On the same date, a newly expanded edition of Marvin Gaye’s 1965 album, A Tribute To The Great Nat King Cole, will be released by Motown/UMe for download purchase and streaming. In 1991, Cole’s daughter Natalie Cole released Unforgettable: With Love, featuring her virtual duet of “Unforgettable” with her father. The album topped charts around the world and won the coveted Album Of The Year GRAMMY Award. Just three years thereafter, the U.S. Postal Service issued a Nat King Cole commemorative stamp in its "Legends of American Music" series. In 2000, Nat King Cole was inducted into the Rock and Roll Hall of Fame. 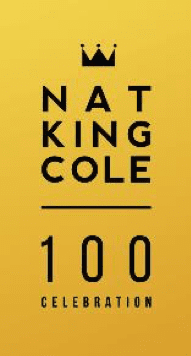 Established in 2008 by his twin daughters Timolin and Casey Cole, Nat King Cole Generation Hope honors the legacy of their father and mother, Maria Cole. The 501(c)(3) organization dedicates their resources to build sustainable music programs for schools across the United States.